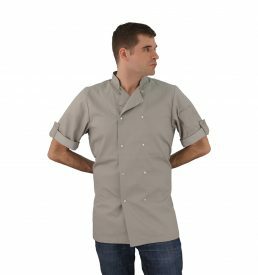 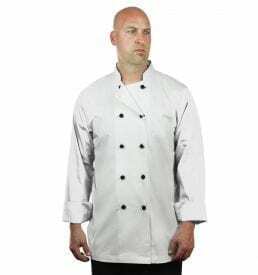 This premium Red Chef Coat with short sleeves is made with imported Japanese fabric in 65 poly/35 cotton blend to give high functionality. 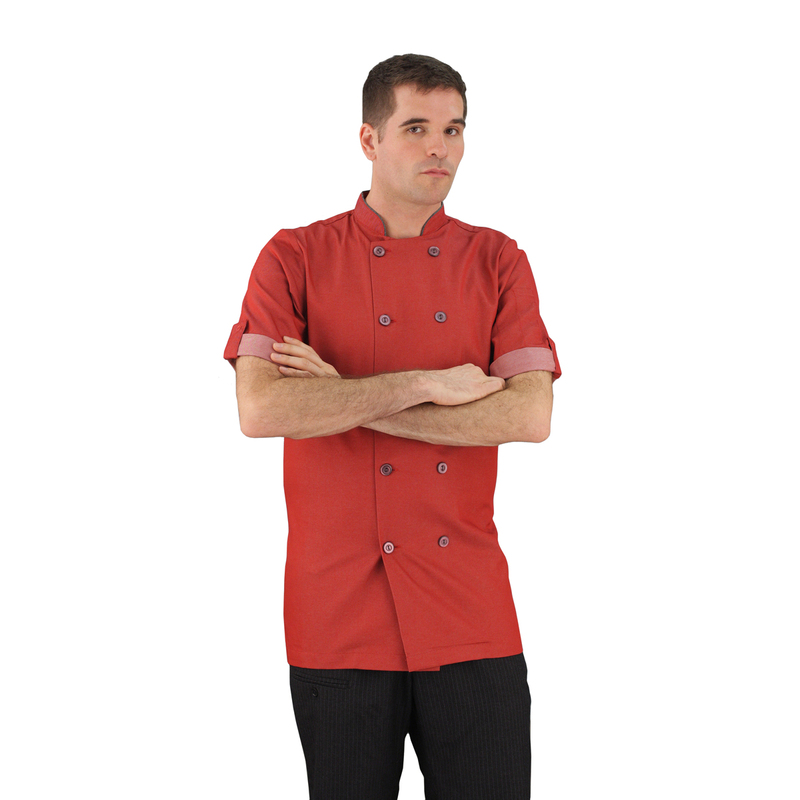 The Red Chef Coat fabric is water and oil repellent and has moisture-wicking characteristics. 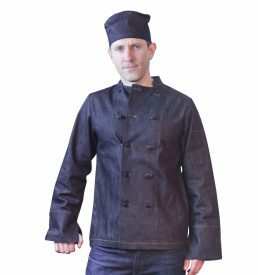 With a loop at neck to hold apron in place, tool pocket and tab on sleeve, this coat has it all. 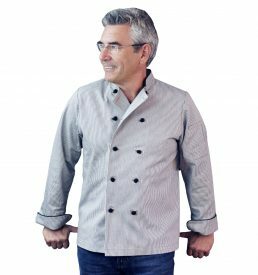 Contrasting charcoal trim at neck and charcoal buttons gives this red chef coat a stylish and high-end look.